I've just opened up my schedule to do kitchen design consulting for homeowners who need smart solutions for tough kitchen design issues. I have offered this service before and have helped many homeowners work through important design, construction, product issues and more. To avoid mistakes, design errors or just to get that second opinion to help work through a project that you may only do once or twice in your life, is certainly invaluable. Taking this step makes good sense in the "big picture" of your project. I've purposely reduced my workload in a few significant ways, so I have a little room in my schedule to add this service back into my design practice and help you work things out. Being able to get back to meeting and helping so many nice people came right to mind! 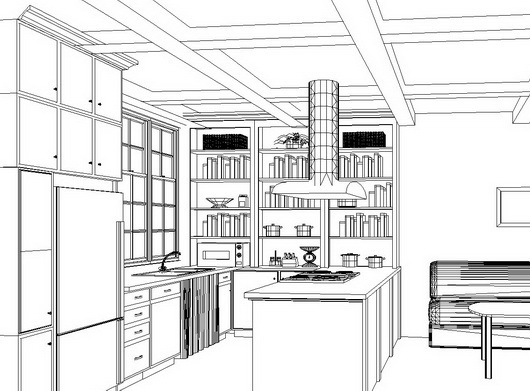 Go to this page on kitchen design consulting and you will see what to do next. I look forward to hearing about your project. Smart solutions, flexible problem-solving based on solid real life experience and a heartfelt interest in doing what I can do to help will point the way forward.